Tucked away in the back of western Colorado is a beautiful little town called Telluride. 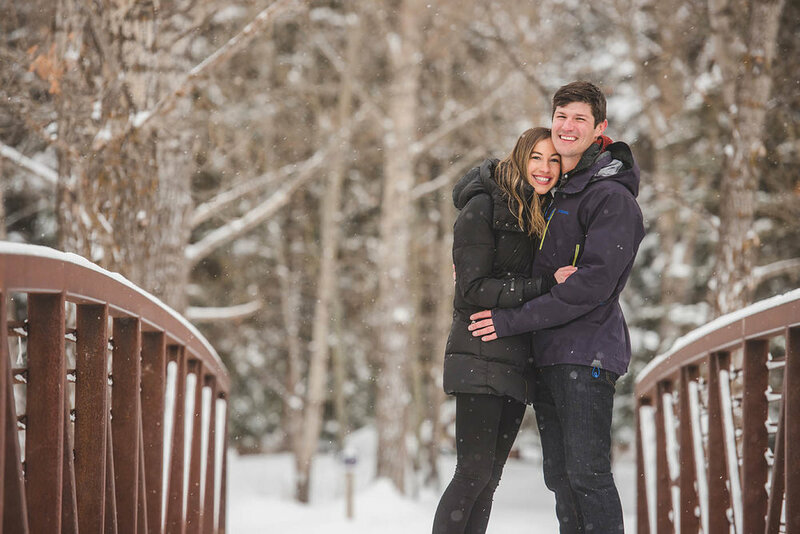 The skiing is some of the best in the world and the weddings are for people who love the great outdoors! Many couples come here to get engaged and eventually married and I understand why… it’s so beautiful! Griffin proposed to Sarah the day before he had me take pictures of the both of them. When I got there, they were both beaming from ear to ear. 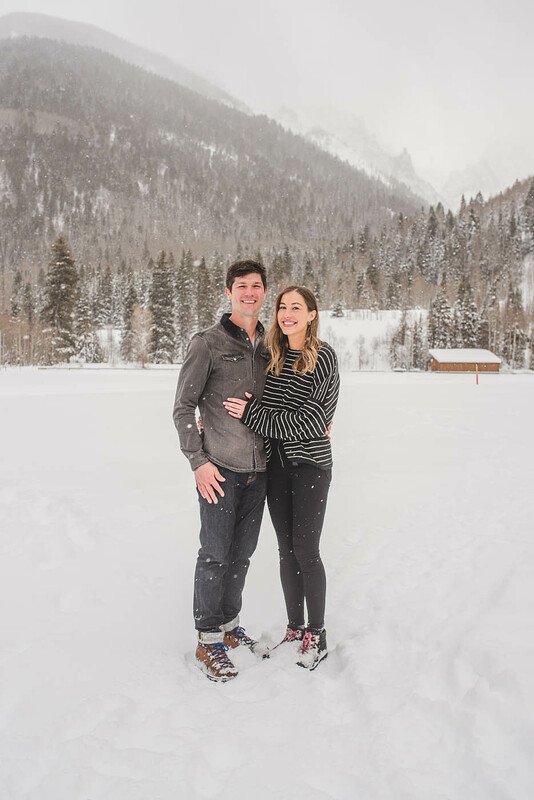 I took them around the town of Telluride, shared a little bit of the history here and introduced them to some awesome locations! 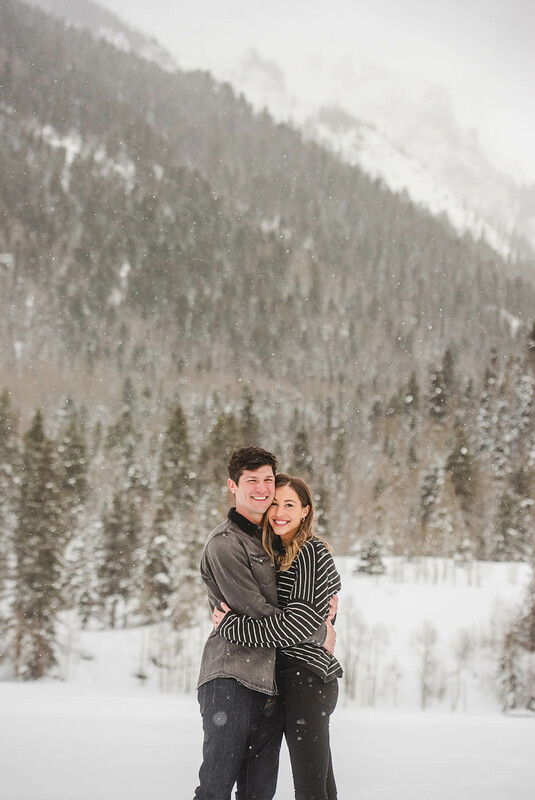 Telluride Engagement Photography Session in the snow! 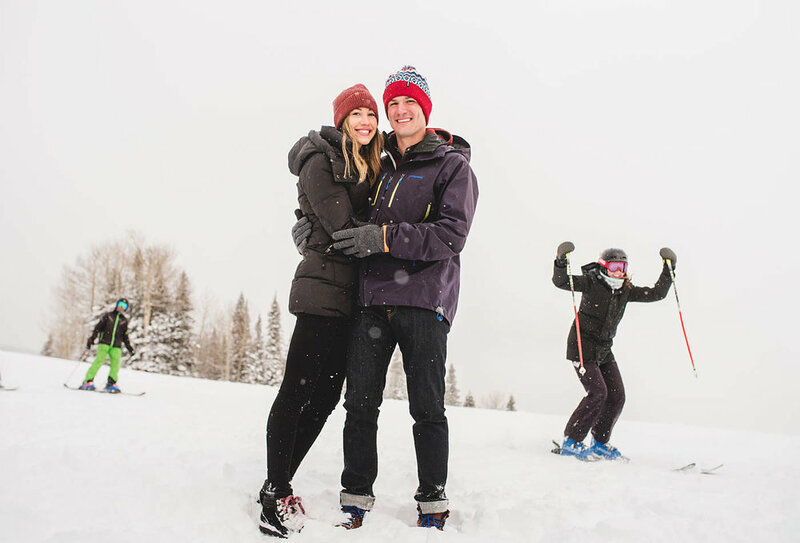 He proposed in front of the ski tree! Taking pictures downtown is so much fun, especially when the snow is piled high! He made the perfect heart for both of them to sit in the middle of and be romantic. 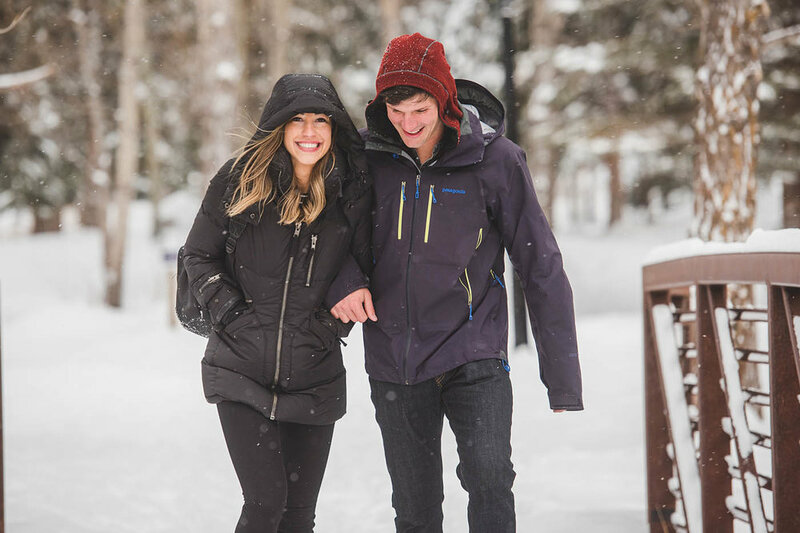 All engagement pictures are better when it’s snowing! She looks so happy holding on to him! 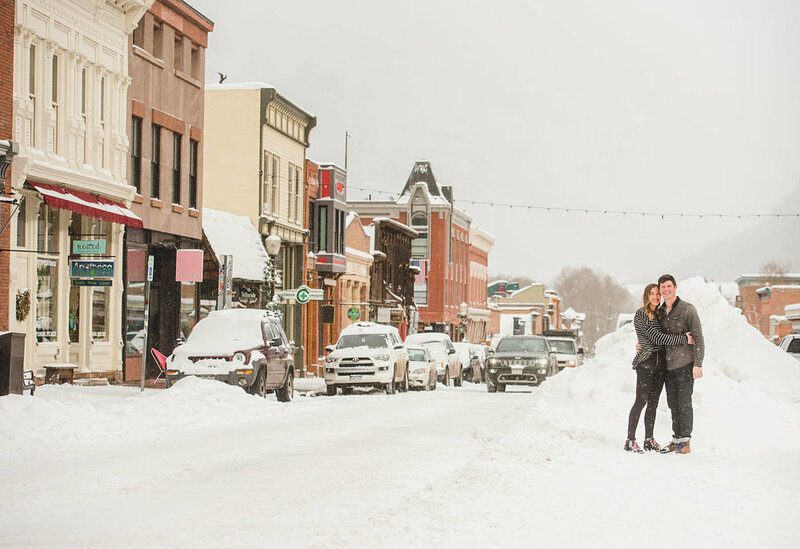 Telluride looks like a winter wonderland in January and it’s the perfect place to take wedding and engagement pictures. Of course, you have to get the famous gondola kissing engagement picture! And only the best photographers know exactly where you have to be to get this awesome shot! The cabin at the top of the ski lift is the perfect place to rest after taking a bunch of pictures! 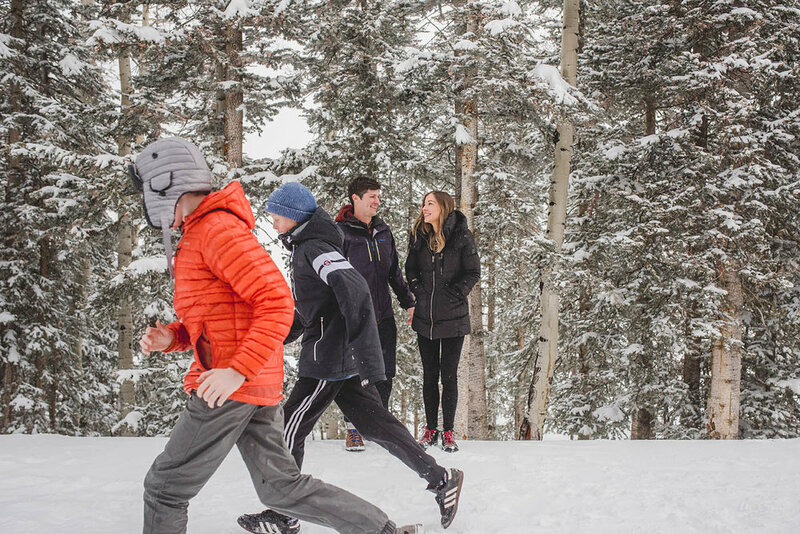 You have to love the enthusiasm of everyone on the slopes! 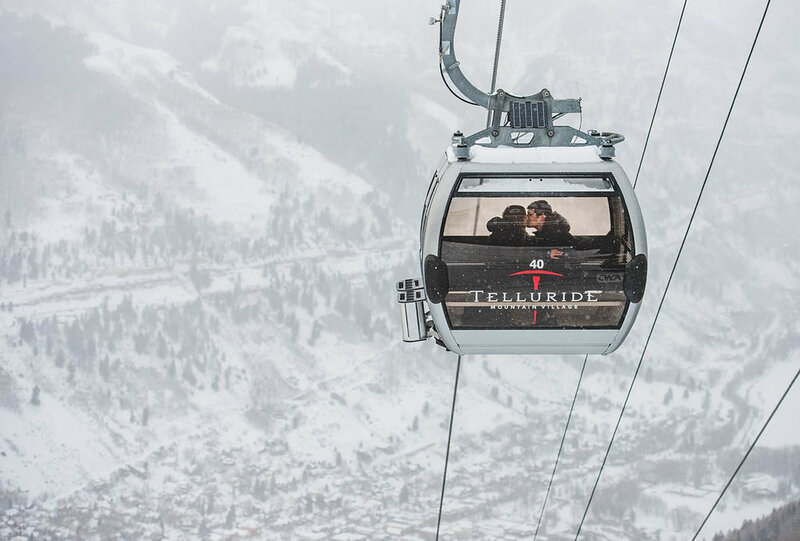 A beautiful moment on the gondola. And a nice warm break by the fire outside! love this shot of them holding each other walking through the snow together! This was the first place they went to when they got to Telluride and it was the last place I took their picture. If you are thinking about proposing in Telluride, contact me at joe@joehendricks.com and I will find the best places to take pictures! Engagement sessions are $750 and there is no time limit and no limit on the amount of pictures you get!